Pastor Gary Kent, one of the most respected leaders in Christian media across Australia and the South Pacific, is to launch a new fully independent ministry called “The Incredible Journey”. Pastor Gary Kent will be the Speaker of the new media evangelism ministry. 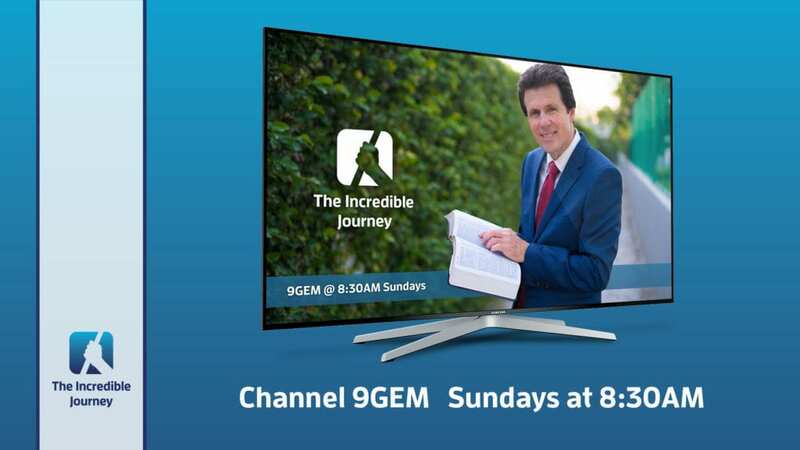 The Incredible Journey will officially start broadcasting at 8.30am on Channel 9GEM in November 2017 with the launch of its first new episode titled “Man of the Millennium”. The Incredible Journey ministry is about people discovering the Bible as the light to guide their Life Journey and to hear God’s voice. Through The Incredible Journey ministry people will find the answers to life’s biggest decisions and questions. Today so many people have not heard the promises of Christ. They are distracted with the cares of life. “Christian Confusion” is everywhere. The Bible provides a clear and complete understanding of God and our place in the great controversy. Pastor Gary Kent says, “the new ministry will fully support the mission and the vision of God’s last day church, and will include television, extensive digital outreach, Bible studies and evangelism programs.” The ministry will guide people to the remnant church of God. Pastor Gary says, “many people today do not understand that God’s pledge to each individual is that their life will be an “Incredible Journey”. For it is written, “For I know the plans I have for you, plans to prosper you and not to harm you, plans to give you hope and a future” (Jeremiah 29:11). God has provided a clear guide book for life’s journey and through the Bible and prophecy, directions home to life eternal. We invite all Partners to bear testimony – to the incredible journey of your life – the leading of Jesus Christ. Our first Partners Weekend will be held on 27-29 October 2017. Email or call us to see how you can partner with God to support the new ministry. For further information visit the new ministry website www.theincrediblejourney.tv where in the next few weeks, the first of the new TV programs will be uploaded. To support The Incredible Journey and Pastor Gary Kent, send your cheques to PO Box 5101, Dora Creek NSW 2264 Australia, donate through our website, call us at +61 (0) 481 315 101 or send your electronic fund transfers to Commonwealth Bank, BSB 062-832, Account Number 1030 6246 (use your full name as the transaction reference).